Spawn The Movie was released in 1997. Personally I haven’t watch the movie yet, but from what I’ve heard it’s a rather dark movie, based on the equally dark Spawn comic series. 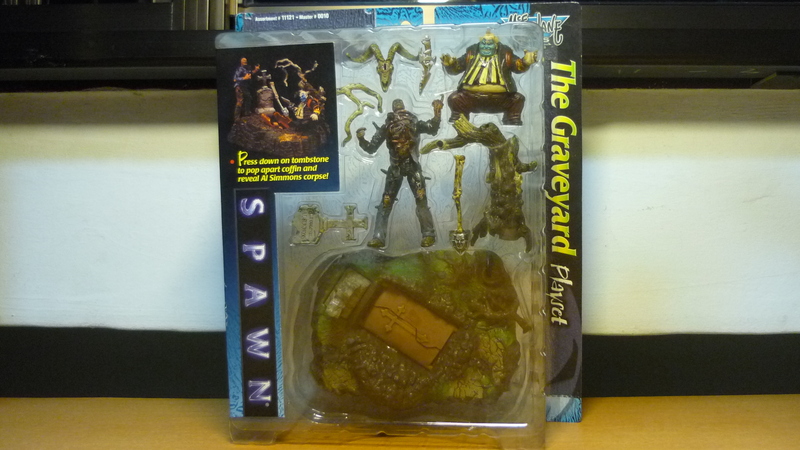 McFarlane Toys had released many figures from both Spawn comics and movie, and I have acquired “The Graveyard” as I thought the graveyard could fit in nicely as a diorama with my other 3.75″ figures. On the other hand, I’ve still left it in it’s packaging. 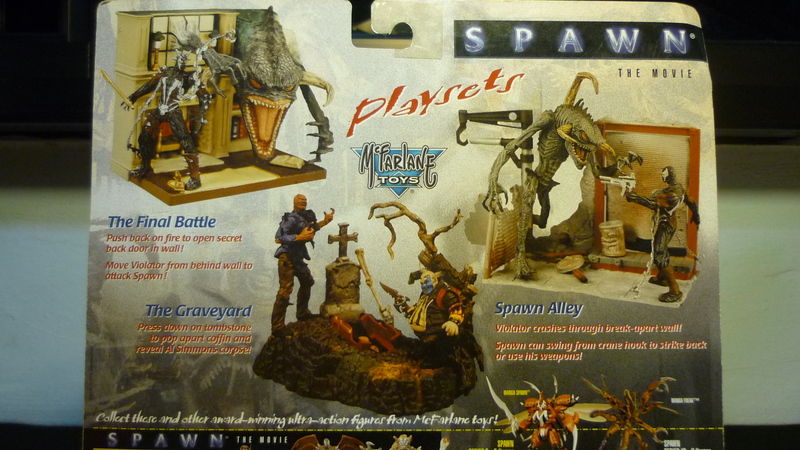 “The Graveyard” playset was released in 1997, I think it was based on a scene in the Spawn movie. 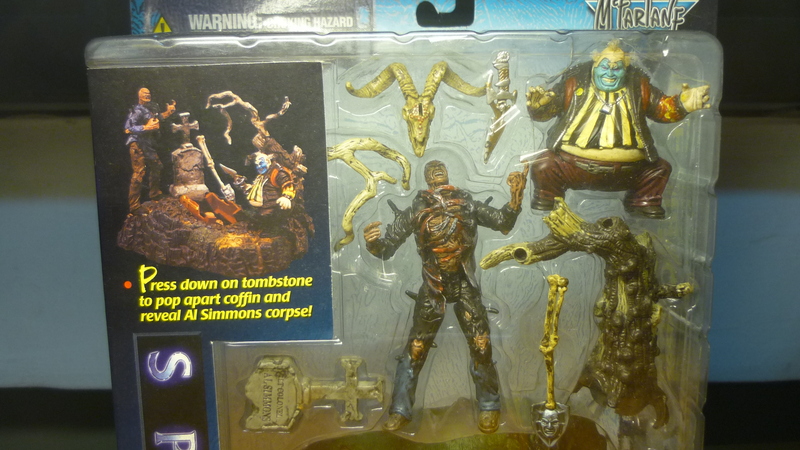 The playset came with Al Simmons, the Clown, and bits and pieces of the grave. 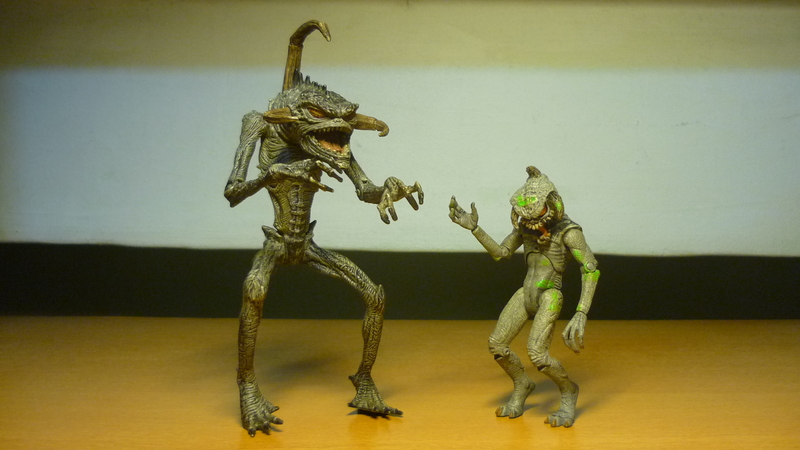 The playset and figures are at about 3″ scale. Based on the labeling, I suppose pressing down on the tombstone would open the coffin. 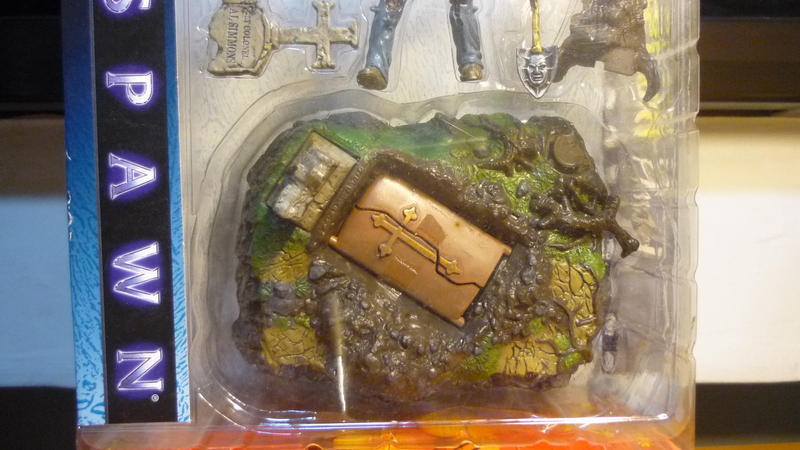 The back of the packaging shows the other McFarlane Toys releases for Spawn The Movie, which includes two other playsets at this 3″ scale: “Spawn Alley”, and “The Final Battle”. I’m also aware that there is a variant of the “Spawn Alley” playset which comes with Todd the Bum. 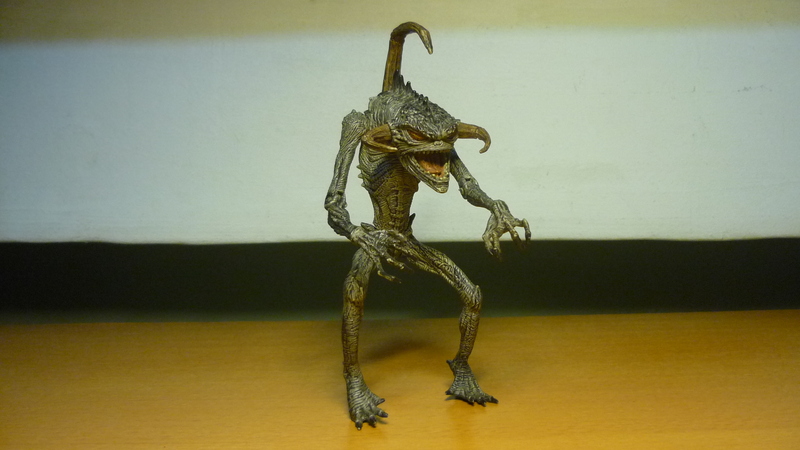 For some reason I wasn’t particularly interested in collecting the other two playsets, but I did acquire a loose Violator which had originally came with “Spawn Alley”. And one day while I was toy hunting at the local CSC toy flea market, I found yet another Violator which was at about the same scale as the Spawn playsets. But this Violator looks different from the usual picture of Spawn’s Violator that I’m more familar with, I would think it has a more humanine body. It also has some green slime covering it’s body. 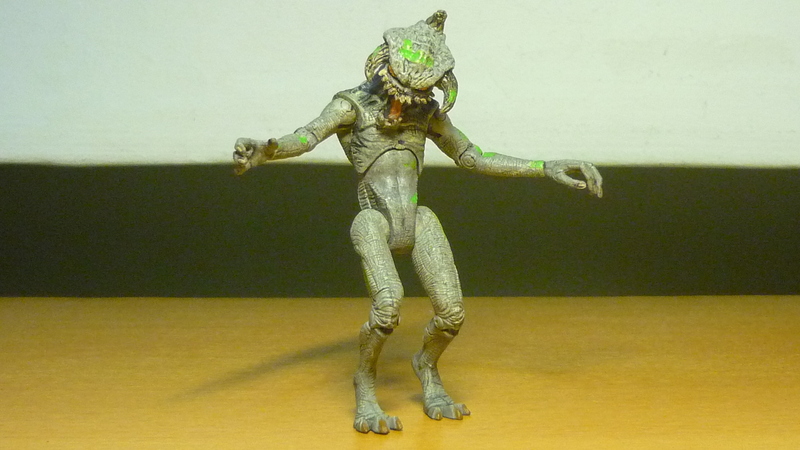 The words at the bottom of its feet seem to suggest it was released in 1998, but despite going through the Spawn catalog I have yet to identify which release this Violator belongs to. I could sure appreciate some help to identify this figure. And I thought the Clown was bad.